Pybus' shift to the head coach position in January, filling the vacancy left by Stuart Law moving to coach Middlesex, created significant divisions in the Caribbean, but the team had shown plenty of promise against England by winning the Test series 2-1 and sharing the ODIs 2-2 to lift confidence ahead of the World Cup. 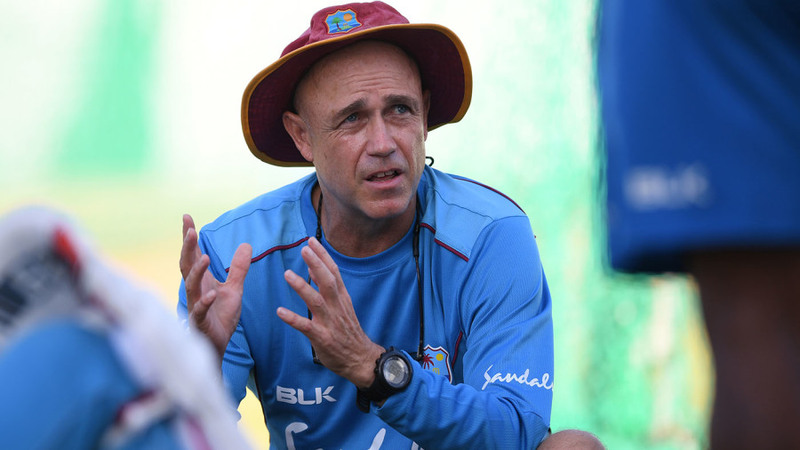 Pybus originally took over as high performance director in February 2018 having previously served as West Indies' director of cricket from 2013 to the end of 2016, when he chose not to renew his contract. The stint as director of cricket was controversial. He was responsible for the policy that made participation in West Indies' domestic competitions mandatory for international selection across formats. This was in part responsible for a number of senior players choosing to focus solely on playing T20 leagues around the world. West Indies cricket could be about see a significant overhaul following the end of Dave Cameron's six years as president after he lost to former team manager Skerritt in recent elections. Skerritt immediately made clear he wanted to push home-grown coaching talent rather than looking overseas. "That [Pybus being appointed as interim coach] has been a vexatious sort of issue," he said. "I have to tell you that we believe very strongly in localising the expertise that we put behind our teams and we believe only in bringing in non-Caribbean expertise only where it is not available across the region. We want to be sure that the team does well at all times with the possible resources but we also have to make sure that they have a Caribbean support team around them."